The mission of the Friends of St. Andrew Bay is to evaluate the status of the St. Andrew Bay ecosystem, identify problems, and initiate corrective actions where necessary. The goal of Friends of St. Andrew Bay is to maintain and restore a healthy St. Andrew Bay ecosystem for the benefit of all people. The Friends of St. Andrew Bay (FSAB), formerly known as the Bay Environmental Study Team (BEST) is a non-advocacy, non-political organization that includes interested citizens and all of the users of St. Andrew Bay and its watershed. 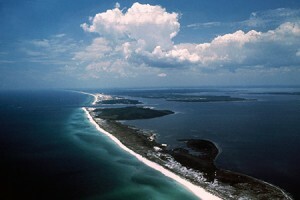 St. Andrew Bay is located in Bay County, Florida, USA along the northwest Florida coast. Please take a few minutes and browse our website to learn more about why St. Andrew Bay is so special. A hands-on environmental problem-solving competition for high school-aged students in the United States and Canada. Participating teams complete training and testing in five natural resource categories: i.e., soils and land use, aquatic ecology, forestry, wildlife, and current environmental issues. Membership in Friends of St. Andrew Bay is open to anyone wishing to join. To make programs possible, we increasingly rely on the financial support of individuals. Volunteering for Friends of St. Andrew Bay and our partners can be as easy as submitting a photo for the Friends of St. Andrew Bay Newsletter, or as complex as scuba diving or computer programming! August 19, 2015 Best Inc.
August 12, 2015 Best Inc.
August 7, 2015 Best Inc.